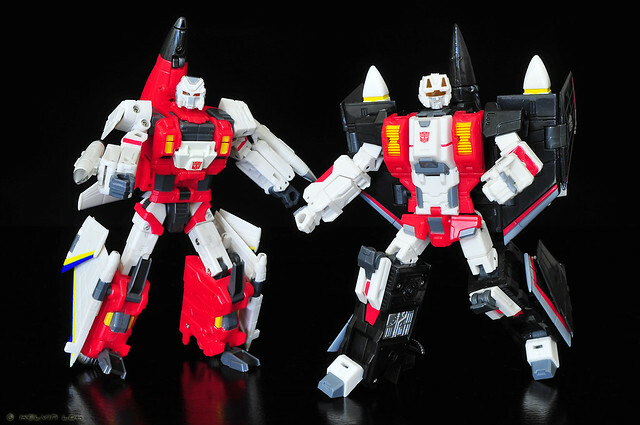 After giving fans the awesome Hercules/Devastator gestalt, the next TFC combiner group is another favourite of mine: the Aerialbots! TFC has named the gestalt Uranos. But we all know him as Superion! 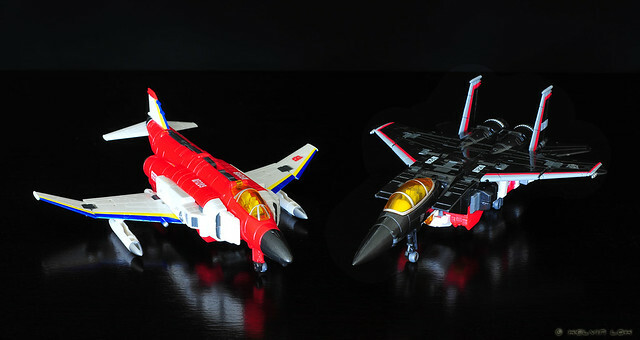 I'm not sure why TFC has to include those text markings on the planes. I'd prefer they not be there. 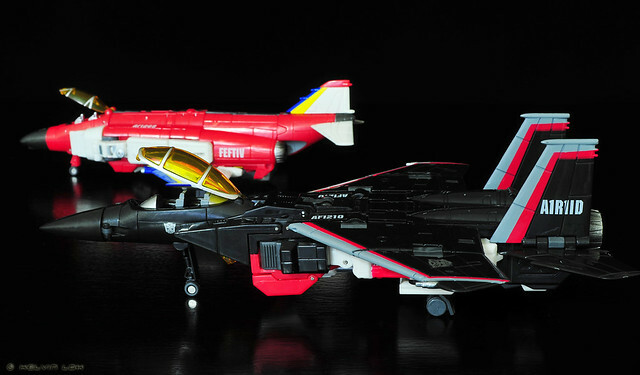 The Autobot symbols on F-15 Eagle are Reprolabels. 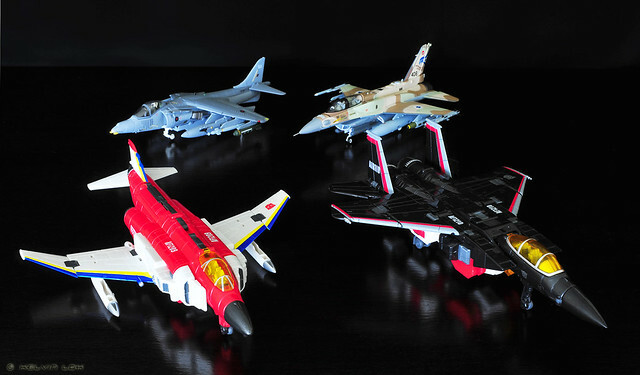 Autobot jets - Broadside (FP Warbot Assaulter), Fireflight and Air Raid - all by third-party! 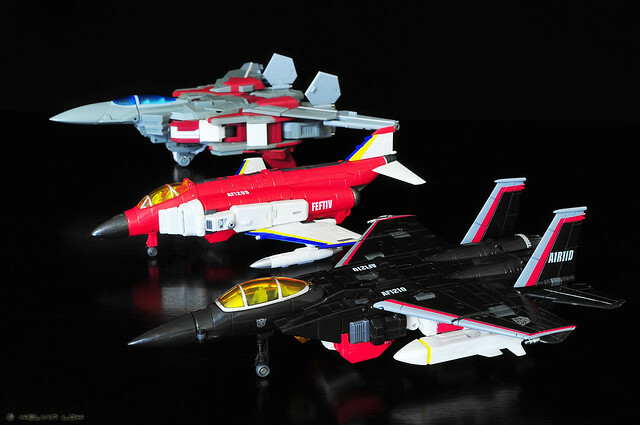 I like them as jets, but their bot modes are nice too. 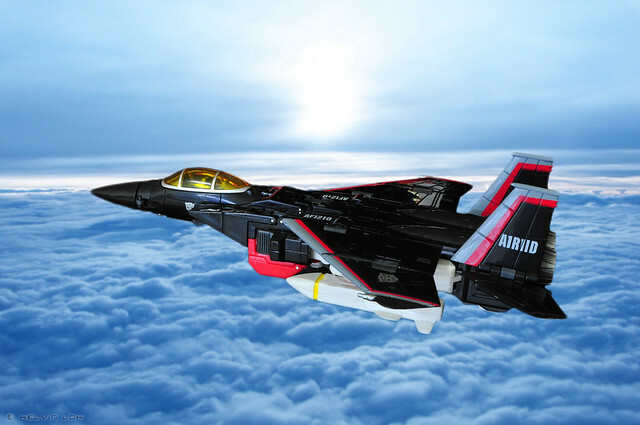 The next 2 members - SR-71 Blackbird (Silverbolt) and X-45 drone - should be released soon. In the meantime here's a bonus pic of F-15 Eagle soaring above the clouds. Welcome! You are visitor no. Happy Lunar New Year 2013! I have a splitting headache!! Transformers Animated Collection - Completed...again? My Colletion: My new cabinet in my new house! Copyright © Kelvin Lok (kelvin255) All Rights Reserved. Picture Window theme. Powered by Blogger.